Cancer Research UK has added Karmarama to its creative agency roster as an integrated specialist. Karmarama, which was appointed without a pitch, will work with CRUK's strategic marketing, fundraising and innovation teams on a number of multichannel briefs. The agency’s first task will be to launch CRUK Kids and Teens, a division that aims to raise money for research into cures and kinder treatments for children’s cancers. Karmarama has also been asked to drive sign-up and donations for CRUK’s Dryathlon – the charity’s annual fundraising challenge to give up alcohol for a month – in January 2016. This was pre­viously handled by Abbott Mead Vickers BBDO. Anomaly replaced AMV as CRUK’s lead creative agency after a review earlier this year. 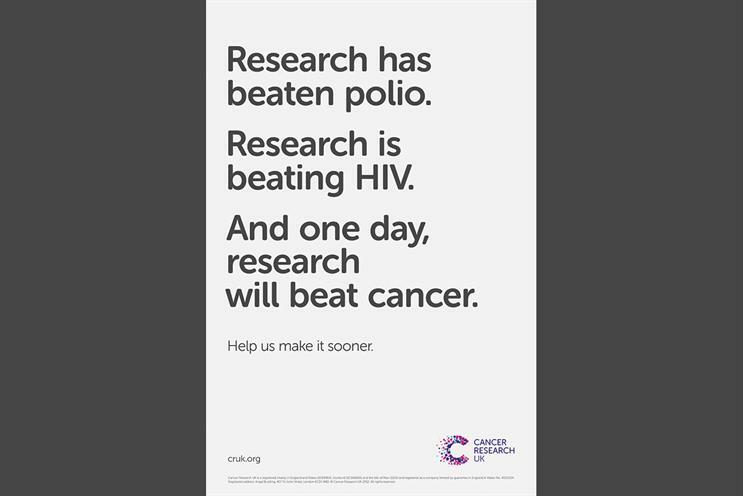 AMV created CRUK’s most recent brand campaign, "we will", last year. It focused on the charity’s ambition to increase cancer survival rates. The other agencies on CRUK’s creative roster are Mother and Atomic. Media­Com handles media. Kate Eden, CRUK’s head of brand, said: "Karmarama impressed us with their progressive, channel-neutral approach to creative."